Day five opened in exactly the same place, Loreto, and was largely a relax & explore day. The ship's plan was to spend most of the day in Loreto, then sail at 3 pm towards the Pacific side of Baja. The highlight of the day (aside from way too many tacos) was the stellar entertainment planned for the evening, including Aparna Nancherla, Zoë Keating, and Welcome to Night Vale. But I am getting ahead of myself. Loreto was much quieter on the second day. While most of the shops and restaurants were still open, fewer were active when we took the early tender to shore. Once ashore, we went on a nice walk around town, and wandered through some of the shops. But in the end, nothing caught our eye, and we headed back to the ship. 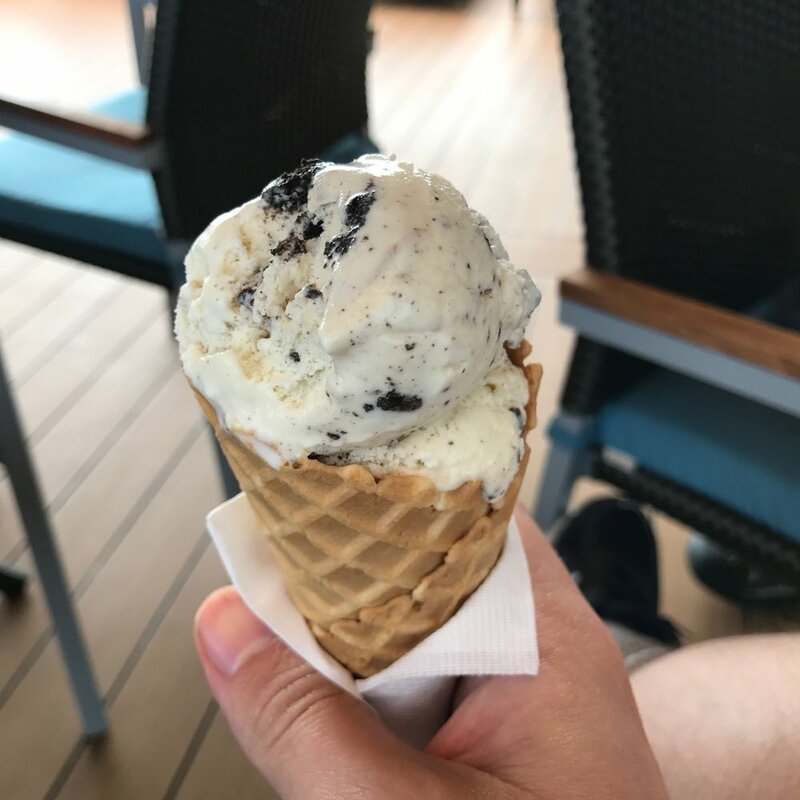 We got back on the ship and decided to take the rest of the day for relaxing on the pool deck. Naturally, this also required perusing the Taco Bar and ice cream. It is worth mentioning that the Taco Bar on the pool deck is amazing. You can make your own thing there, and the ingredients are really good. Needless to say, we ate quite a bit there. We really didn't do much on day 5 (or so my pictures would suggest), so I think we spent the rest of the day around the pool. I also took some pictures! The evening event kicked off with Aparna Nancherla doing standup comedy, using a slide deck, of all things. It was pretty good, but I can't say I remember a great deal about it, in part due to anticipation of the next act. 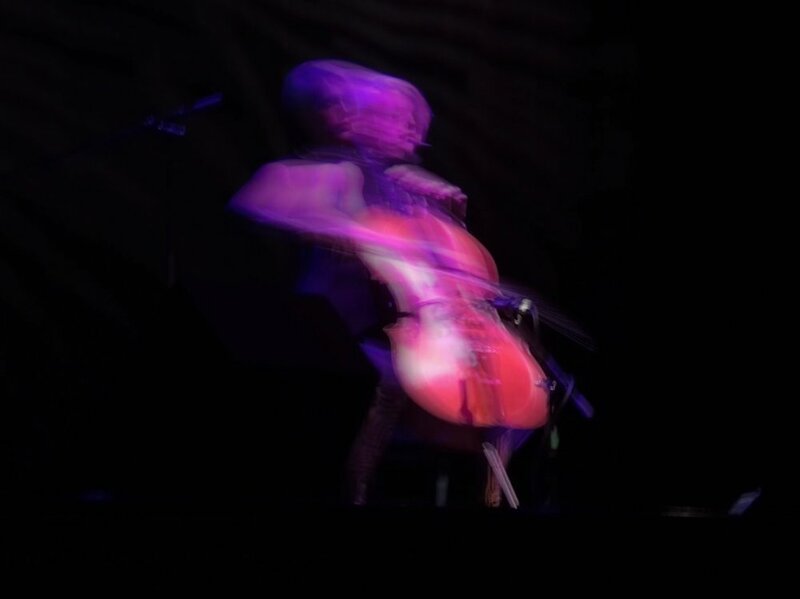 The standout of the evening was easily Zoë Keating's performance. 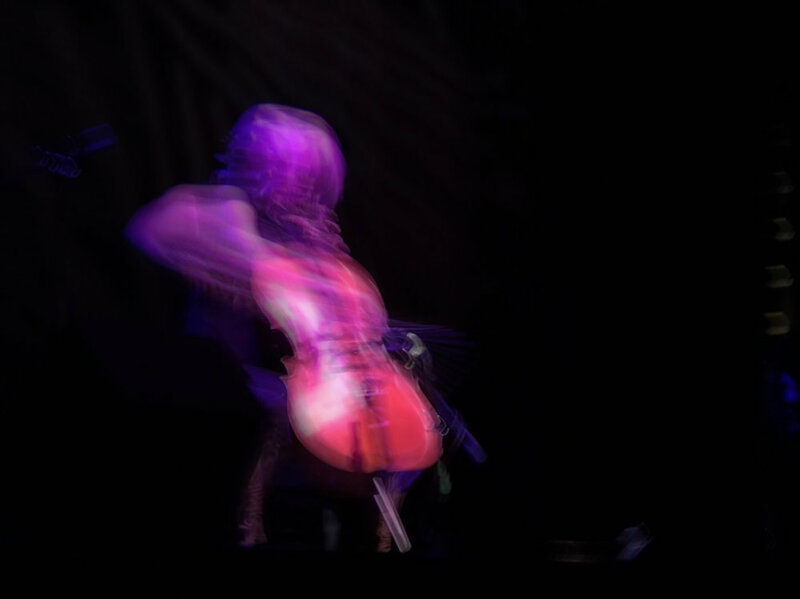 Since she more or less convinced me to go on the cruise to begin with (through twitter posts), it was amazing to finally see her on stage with her Cello. Shocking as it may be, I didn't take all that many pictures of Zoë, as I was too enraptured by her music. If you haven't heard it, you are really missing out, and I really suggest you take a listen. Her most recent album is Into the trees, and is available on a few different services. Her preference is probably BandCamp. Welcome to Night Vale had been on my podcast backlog for quite a long time before the cruise, but their presence on the boat finally provided the motivation to start listening. 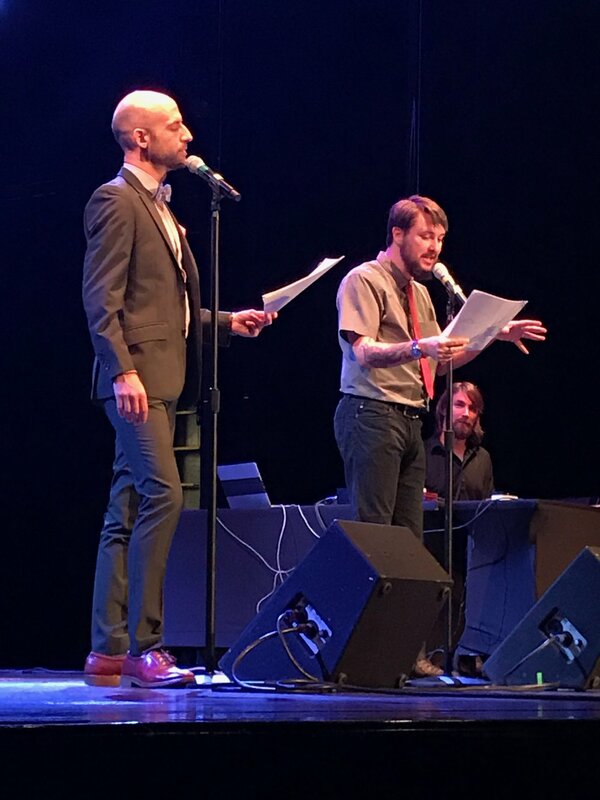 For more about Night Vale, take a peek at my podcast post. Happily, their live show is not directly within the (rough) chronology of the show. While there are definitely some in-jokes that would go over the uninitiated's head, it was still a great show to see, even for my family, which had never heard it before. Overall, a great and quiet day. We had an excellent dinner, and headed off to bed.